James Moriarty possesses the greatest criminal mind that the world has ever seen. 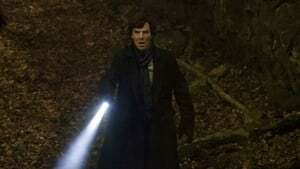 Sherlock and John knew he wouldn't stay hidden for long, but even they never guessed the sheer scale and audacity of the crime that would propel Moriarty back into the headlines. The crime of the century; The Tower of London, the Bank of England and Pentonville prison - all sprung open on the same day, as if by magic! But Moriarty's plans don't stop there... Sherlock and John lock horns with their old enemy in one final problem that tests loyalty and courage to their very limits. Sherlock must fight for his reputation, his sanity and his life. But is he all he claims to be?